It is interesting that you should ask this question as I just participated in this very situation about a week ago. Let me explain why I did and what I thought. First, one of the hardest parts of leaving Ohio was leaving the people who were riding with us. Although we didn’t ride many outside training horses my husband, Jesse, did ride three or four and coached six or seven clients who were taking lessons and showing their own horses at NRHA shows. He loved it. When we moved we were able to take the horses with us that we would be showing but lessons and coaching wouldn’t work. They have the slide down! One customer knew that I was going to be at the show in Ohio and she also knew that the man who was currently training her horse was going to be out of town that weekend and couldn’t make it. She asked me if I would be willing to help her out. I said I would sure try but it would be interesting as I had not been training the horse. The good thing was that we were both clear up front that this wasn’t going to be a high pressure show. She mostly wanted to get to know the horse and she understood that the cues were going to be subtly different. I had only ridden the horse one time before this weekend and it had been months ago and just long enough to feel his lope. One thing I did a lot of was video taping her and having her watch herself. Then I would ask her what the other trainer would have her do or what she had seen him do. Did he add more rein or more leg? Did he use a voice cue first? What exercise had he recommended if this happened? It was actually kinda fun trying to figure things out together. She knew she was responsible for remembering what the other trainer did and she had to think it out. I acted like a sounding board and I gave her visual feedback with the videos. I also got on a couple of times to feel what was going on. Do I think it was an ideal situation for a show? No. If the show alone is the measure of the outcome then the results would have likely been better with her current trainer. Looking at it from another angle though maybe it was a success. 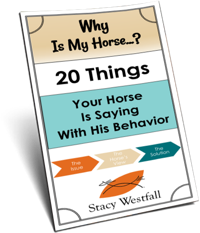 She was able to get to know the horse better and I can almost guarantee that she will have very specific questions when she goes to ride with him again. It is possible that because she had to struggle a little more to figure things out at this show that she will be even more prepared for the next show. ← When the lines between work and play get blurry. There are some people who like to hop from clinician to clinician always looking for the perfect solution and I think all they accomplish is to end up royally confused. In the situation you describe it sounds like the gal is a thinking rider and that she was able to determine what actions to take or change and was not trying for a new “method”. So it worked for her and that is super! But for a lot of people I think they are just never satisfied so they feel the need to get multiple opinions. Which most of the time is not very helpful–just tends to complicate things. Stacy….with the foals that you have raised and trained verses the horses(Jac) that you don’t know….but meet later in life… is the training easier or harder? 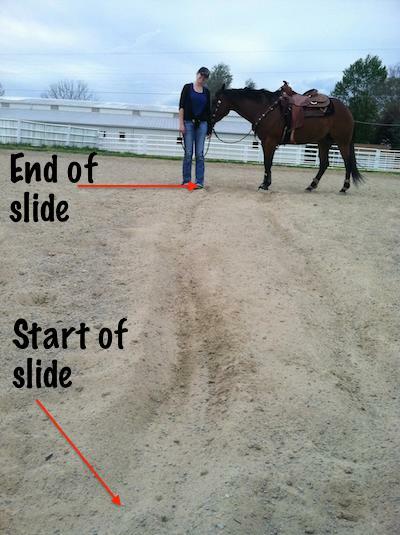 ….. does knowing the horse from birth make it easier to train them?? 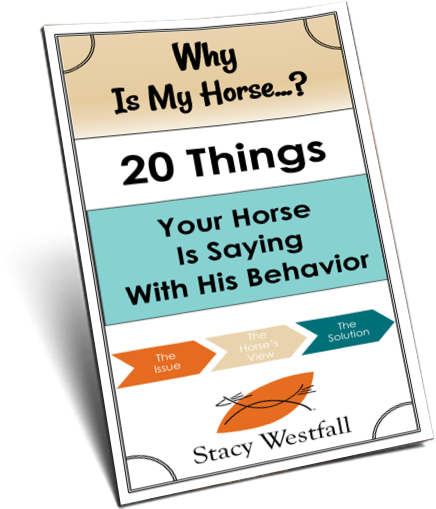 …..just curious if you notice a difference… do the horses respond different?